Found 3 file extension associations related to TomeRaider and 3 file formats developed specifically for use with TomeRaider. TomeRaider is an ebook reader and cross-platform reference viewer for handheld devices devices (Windows Mobile Pocket PC, Palm OS, Psion, Symbian) & Microsoft Windows PC. TomeRaider is created by Yadabyte, a UK software and web development company. 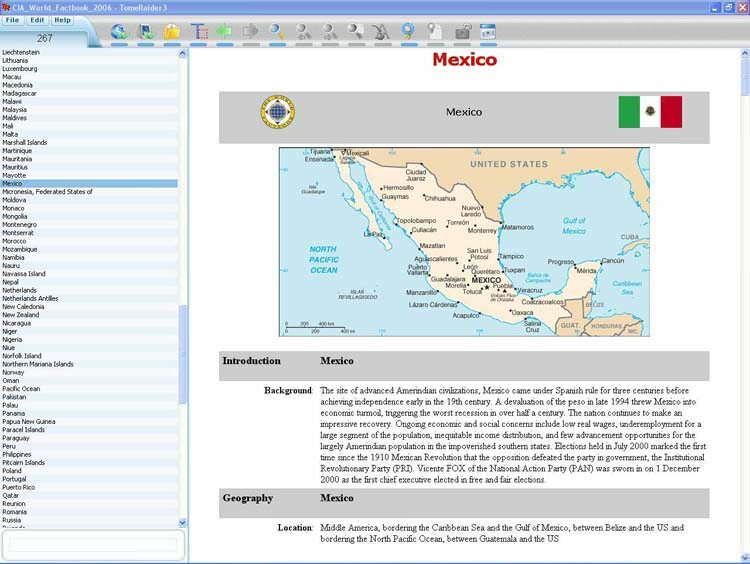 The first version of TomeRaider was developed in 1999, and the last version was version 3. The product is probably no longer available. There are over 4,000+ free ebooks and reference books base available for the TomeRaider ebook readers, many of these reference books are not available in any other format. Tomeraider is the only software that supports the entire English Wikipedia:TomeRaider database (updated until the DEC 2007) and the Internet Movie Database (this file is updated on a regular basis) . The latest release is version 3, which includes support for images category support, searching and compression. HTML is supported in the Pocket PC and to a lesser degree in the latest Palm version, where HTML tables and Unicode are not working yet. The TomeRaider format compresses text files to 45%-60% of the original size. Unlike other ebook readers and wikipedia software, TomeRaider ebook reader features super fast searching, indexing and text compression. The TomeRaider software version for personal computer supported on Microsoft Windows XP & Vista, allows users to import and create their own TR3 files, as well as convert the old TR file to the new TR3 version and vise-versa. The TomeRaider software seems to be old or discontinued. If you need more information please contact the developers of TomeRaider (Yadabyte Websites), or check out their product website.